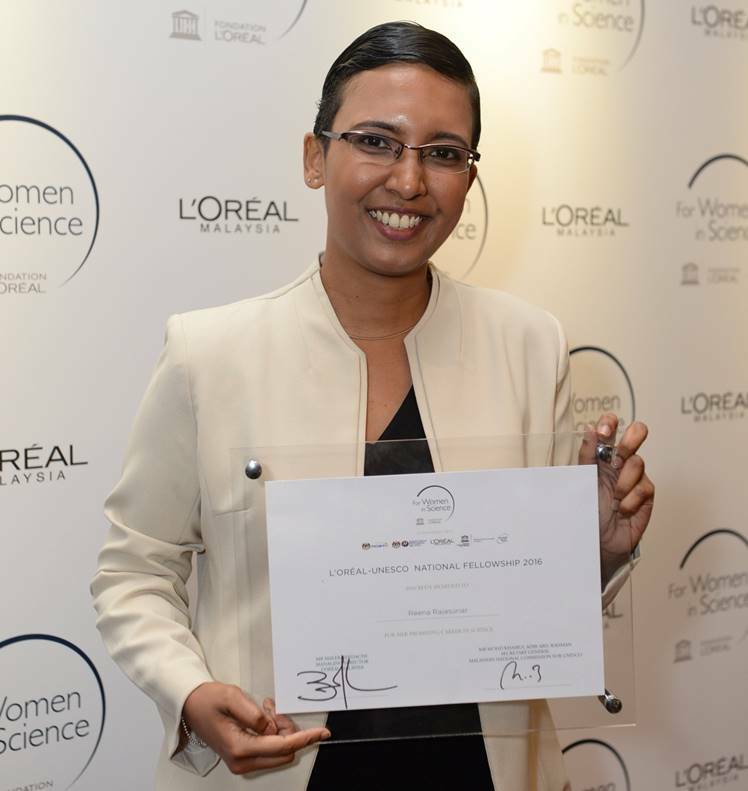 Founded in 1998, the L’Oréal-UNESCO For Women In Science programme has one aim: to ensure that women are fairly represented in all levels in science. 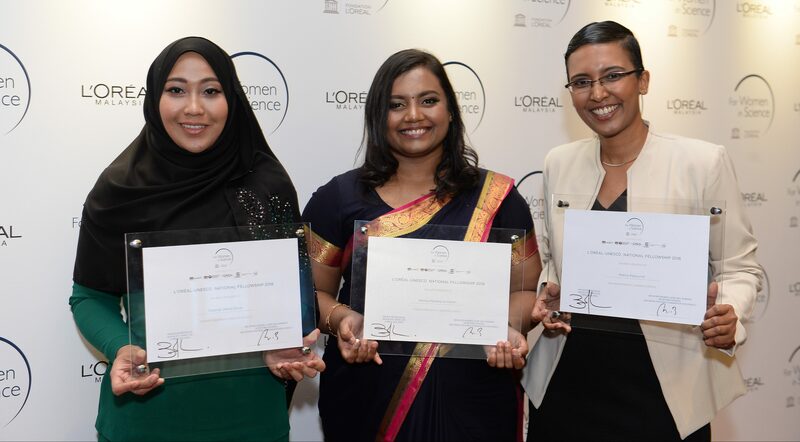 L’Oréal Malaysia has been honouring the achievements of women scientists and encouraging young girls to take up careers in science since 2006. From the time of its inception, the Malaysian programme has provided over RM800,000 research grants to 38 women scientists who performed extraordinarily in their chosen fields. This year, a total of 139 applicants vied for the grants and were evaluated on criteria like project significance, originality, methodology and contribution to science. These three women emerged as the chosen fellows, earning them RM30,000 each in research grants. Their achievements and commitment to driving change in the fields of their research are commendable. 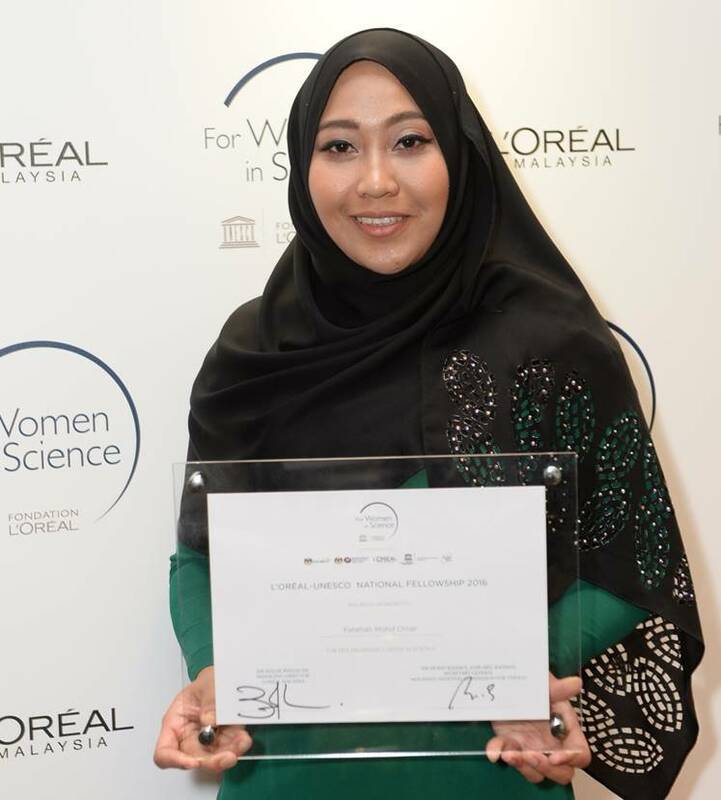 A lecturer in University Sains Malaysia, Dr Fatehah received the grant because of her research on wastewater treatment for palm oil industries. The current palm oil industry milling process created a large amount of wastewater with a high pollutant content. Dr Fatehah’s research focuses on understanding the nature of the nanopollutants in the wastewater and how they disperse in water bodies. This will allow the best method of treatment for such wastewater to be worked out. Growing up, she looked up to her mother, a biochemist and her father, a chemical engineer. You could say science is in her blood. A prominent scientist, her father Professor Ir. Mohd Omar Ab Kadir also conducted research on wastewater treatment. This in turn inspired her to continue in his footsteps and enter that field. Dr Nethia’s research in the field of customised treatment for nasopharyngeal cancer is one that many Malaysians might eventually thank her for. Malaysia is known to have one of the highest national incidences of Nasopharyngeal Carcinoma (NPC) in South-East Asia. Even though NPC is a major health problem and the 4th most common cancer among Malaysians, Dr Nethia realised that there wasn’t enough research done on NPC therapeutics as most of the existing treatments went on a ‘one size fits all’ concept. Her research is focused on finding a solution to treat every cancer as an individual entity. When she was young, her mother wished for her to be a medical doctor, but Dr Nethia’s heart was set on another path. She spent her days reading biographies of prominent scientists and was inspired by how their work changed the world and touched many lives. Her life’s calling now is to instill a love for learning and discovery in others. Aging is a process that many wish to stop or slow down, but for some this happens prematurely. There is a gap in scientific understanding of how the decline in immune function is related to the process of aging. 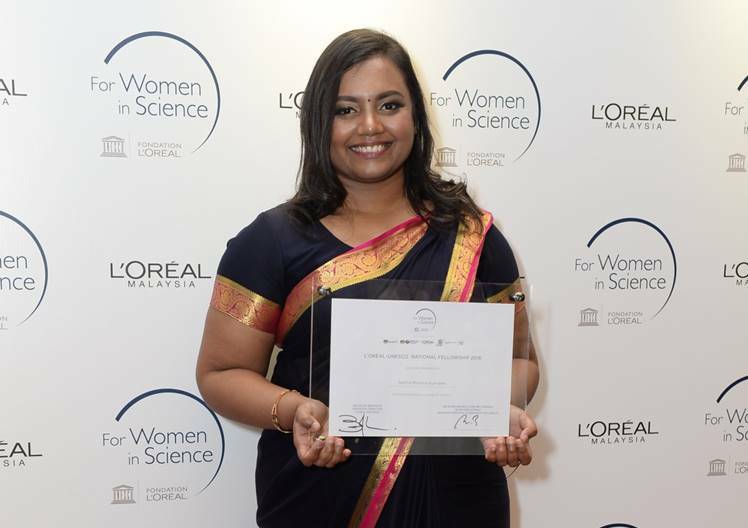 Dr Reena’s research aims to better understand the immunological aging process and help address the challenges that an aging population will face in the 21st century. Her work explores the protential drivers of premature aging in HIV and cancer survivors. As a science teacher, Dr Reena’s mother was key to molding her science career. Dr Reena remembers being encouraged to ask “How? What? When?” from a young age, and this quest for answers led her down the career path to where she is now. She started off as a clinical pharmacist, then became a lecturer, then earned her PhD in immunology when she found many unanswered questions in the filed of infectious diseases and HIV.